ausEE Inc. is registered with the following fundraising programs. By clicking on the links below you can assist us in our crusade to help people with eosinophilic disorders. 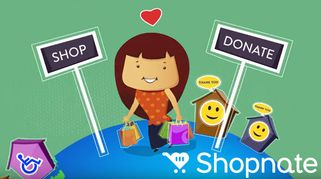 Shopping is an easy and fun way to show your support! Please share these links with your friends and family as every dollar raised helps our cause! Do you have a spare mobile phone sitting around in a drawer? You can recycle it in an environmentally and socially responsible manner. Buy cute kids clothing, school labels, lunch boxes, backpacks, wall stickers and more from Bright Star Kids and ausEE will earn a 15% commission from all sales! 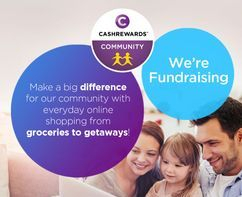 Just by doing your everyday shopping with Cashrewards, you’ll be rewarded for every purchase. The way it works is simple. Just use the direct link to shop over 1,200 of your favourite brands and they will give you up to 25% Cashback (not points!) on your purchase. Order your 2019 | 2020 Entertainment™ Book from ausEE Inc. and 20% of your Book purchase goes towards our fund-raising! Set up a Crowdraiser fundraising page through GiveNow in support of ausEE. All donations are receipted direct to the donor. Fundraise online with MyCause and get sponsored! Run, Ride, Swim, Jump, Walk, Abstain. All donations are receipted and your donors can leave a message. Play For Purpose is a not-for-profit raffle raising money for Australian charities and sporting clubs. 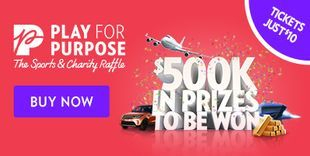 With a one in 34 chance of winning $500,000 worth of prizes, and a minimum of 50% of every ticket sold going directly to ausEE, Play For Purpose is the ultimate win-win raffle! 2. SAVE - online retailers provide COUPONS & other DEALS so you can save! 3. RAISE - online retailers will pay ausEE Inc. a donation from their profit on every sale - at absolutely no extra cost to you!